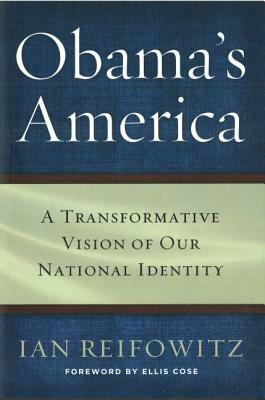 Our national identity is defined by what it means to be an American and whom we include and why when we talk about “the American people.” A country’s national identity is fluid, and Ian Reifowitz argues that President Barack Obama, by emphasizing the ideals Americans hold dear, hopes to redefine ours in a fundamental way. Obama’s conception of America emphasizes two principles of national unity: First, all Americans, regardless of their heritage and cultural traditions, should identify with America as their country, based upon shared democratic values, a shared history, and a shared fate. Second, America should embrace all its citizens as active participants in one “family.” Reifowitz explores Obama’s belief that strengthening our common bonds will encourage Americans to rectify the injustices and heal the racial divisions that still plague our country. We have the opportunity to demonstrate to the world that a society of many races and cultures can truly become one people. In facing terrorism, violent fundamentalism, and other security issues, Obama’s response centers on a powerful, inspiring, and truly inclusive American narrative. By bolstering America’s identity as diverse yet unified, he aims both to counter the anxieties and fears that radicalism stokes and give proponents of religious and political freedom a model they can defend. The stakes couldn’t be any higher in determining America’s future. Raised in Smithtown, Long Island, Ian Reifowitz graduated from Brown University with a BA in history and from Georgetown University with a PhD in history. Since 2002, he has taught history at Empire State College of the State University of New York, where he now holds the rank of professor, and in 2009 won the college's Susan H. Turben Award for Scholarly Excellence. In 2014 he received a S.U.N.Y. Chancellor's Award for Excellence in Scholarly and Creative Activities. He is a Contributing Editor at the political website Daily Kos, and his opinion pieces and articles on American politics have appeared in the Daily News, Newsday, The New Republic, In These Times, and other publications. His first book, Imagining an Austrian Nation: Joseph Samuel Bloch and the Search for a Multiethnic Austrian Identity, 1846-1919, was published by East European Monographs and distributed by Columbia University Press in 2003. He has published a number of academic articles in the Journal of Jewish Identities, Nationalities Papers, and East European Quarterly, amongst other publications, as well as numerous book reviews.